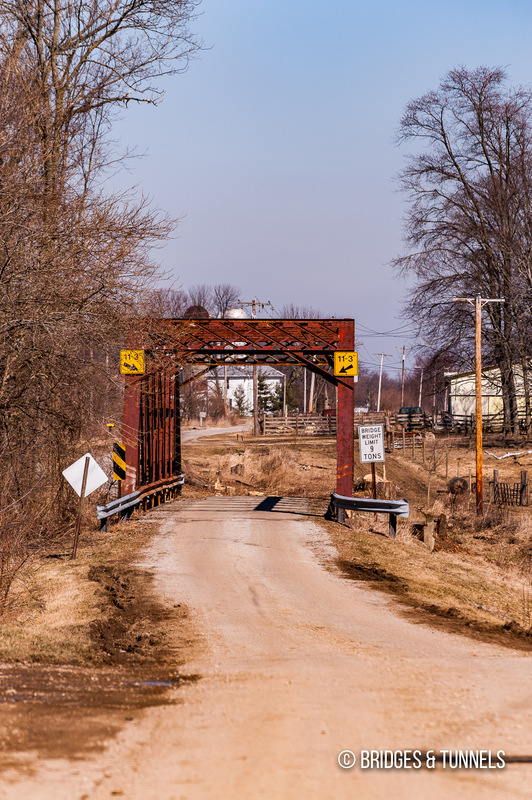 The Brown Road Bridge carries Scioto Township Road 176 over Bokes Creek in Delaware County, Ohio. 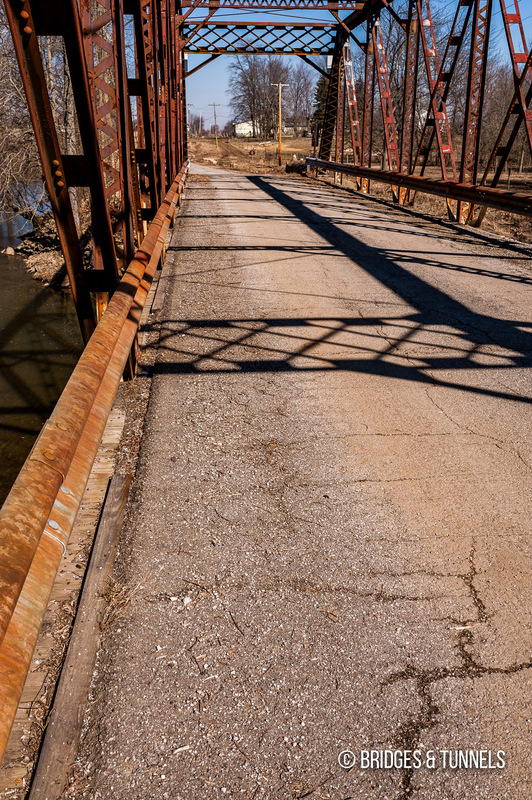 Constructed in 1915 by the Bellefontaine Bridge and Steel Company, the riveted Pratt through truss was determined to be eligible for inclusion on the National Register of Historic Places.1 It replaced an earlier span that was washed out in a 1913 flood. 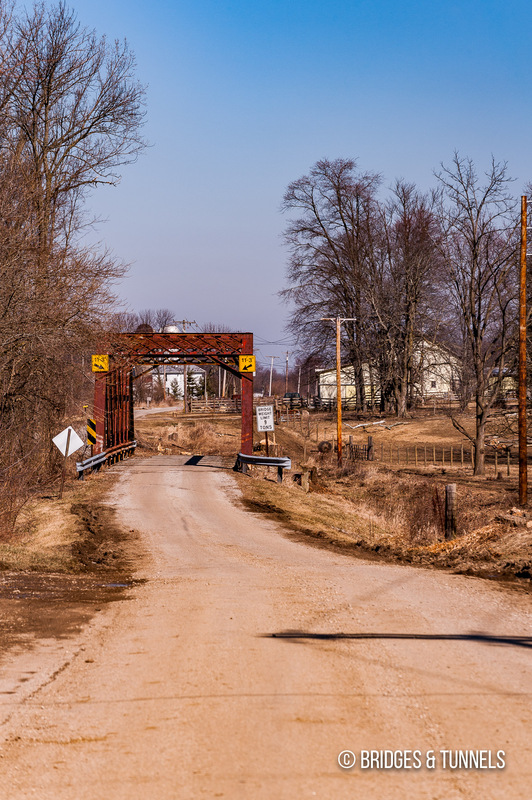 In early 2010, the county engineering office studied options to either rehabilitate or replace the Brown Road Bridge, which was determined to be in poor structural condition and functionally obsolete.1 The decision was ultimately made to construct a new bridge, with the design of the preferred alternative occurring in 2009-2010 and right-of-way purchasing occurring in 2010-2011. Construction began on a replacement bridge in mid-2011. 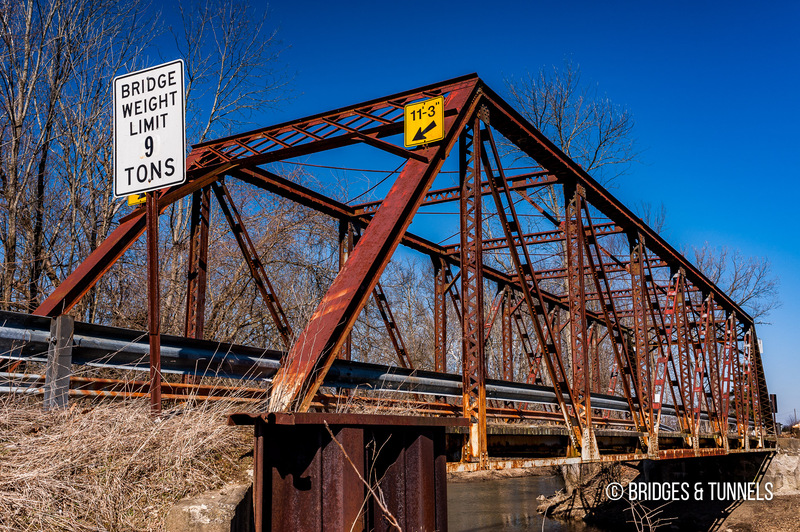 Delaware County Engineer. 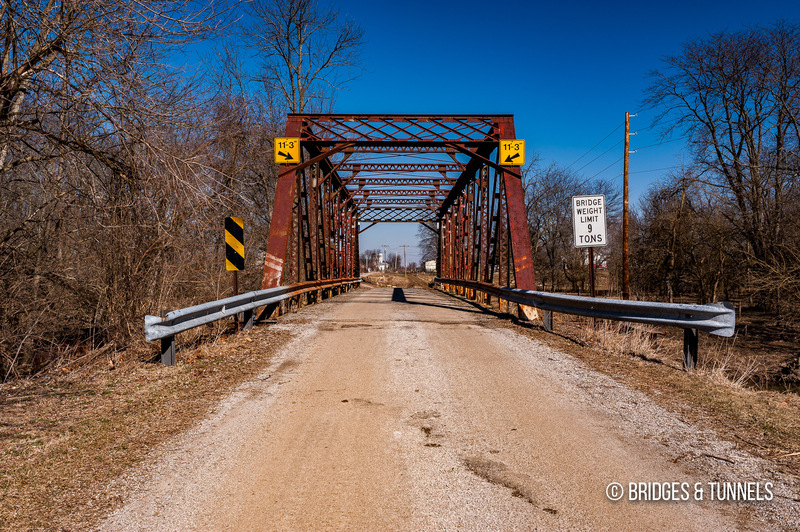 “Brown Road Bridge over Bokes Creek.”Delaware County Ohio. N.p., 3 Feb. 2010. Web. 4 Apr. 2012. Article.